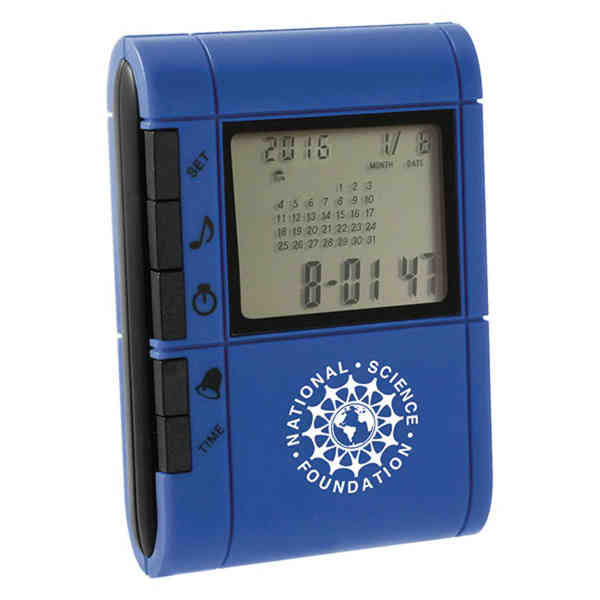 Imprint Method: Unimprinted - Let customers know that you're always there for them with a great gift like this calculator and 16-city world time clock! It's a slide-out item that also features a perpetual calendar, 100-hour countdown timer, and an alarm. A battery is included so that recipients may enjoy immediately upon reception. Imprint this with your company name or logo and give it away at your next tradeshow. People will soon calculate that you're the best brand for them! Austria. Size: 3 1/8 " x 2 3/16 " x 3/4 "